There’s another new chapter being written in the ongoing saga known as the financial crisis. The Justice Department is aiming to make a deal, in the area of $20 billion, with Bank of America for the company’s part in selling troubled mortgage investments. But resolution doesn’t look to be happening anytime soon. Several weeks ago, the Justice Dept. made Bank of America an opening settlement offer of about $20 billion, but the bank has yet to make a counter-offer, NY Times’ DealBook blog reports. Officials say the offer included funds earmarked for a settlement with the Federal Housing Finance Authority, but after the offer was made Bank of America settled with the regulator in a separate $6.3 billion cash deal. Meaning the Justice Department’s initial offer will need to shrink, to what some officials assume to be around $10 billion. If Bank of America agrees to a $10 billion settlement, they would pay about $16 billion in total to settle every investigation into its sale of mortgage securities leading up to the 2008 financial crisis. The Justice Dept. and Bank of America are negotiating what is called a global settlement that could resolve a number of outstanding investigations. However, a settlement between the two parties isn’t necessarily the only option, the department could file a lawsuit against the banking giant, DealBook reports. 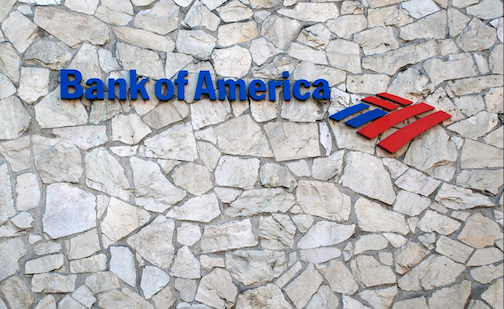 Bank of America is just one of several financial institutions that have been at the center of investigations concerning the sale of troubled mortgages. JPMorgan Chase and various federal agencies announced a $13 billion deal to end numerous bank-related investigations into the company. Additionally, the company paid out more than $20 billion to settle several investigations and findings during 2013. But Bank of America’s bill could be significantly higher than that of JPMorgan Chase thanks in part to their acquisition of subprime lender Countrywide Financial. In October, Bank of America was found liable for the Countrywide Financial Hustle program, which removed many of the existing roadblocks and safety checks of the loan underwriting process in order to approve as many home loans as possible in a short period of time. The DOJ alleged that Countrywide’s motive for the Hustle was to issue these loans then quickly sell them off to bailed-out mortgage-backers Fannie Mae and Freddie Mac without disclosing that some of the mortgages weren’t worth their value in Monopoly money, let alone U.S. currency. Originally, the U.S. was seeking $864 million in penalties in that case, but in January the Justice Dept. claimed the number should be $2.1 billion. While financial companies continue to shell out billions of dollars to settle cases there has always been the assumption that financial institutions and executive are “too big to jail”, but that could change Attorney General Eric Holder said during an MSNBC interview in January. In the past year, bank regulators have faced criticism for not holding the nation’s banks and their executives accountable for their misdeeds. Instead, most banks settle cases rather than head to court, much like JPMorgan Chase.